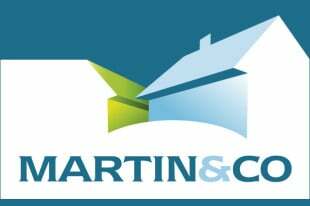 Introducing Martin & Co Derby Property Management Services. “You have my assurance that we will service, manage and help grow your property portfolio with the utmost care and professionalism, for which we are known in Derby and nationally. Specialist professional lettings: specialism is for domestic lettings within Derby, and our local knowledge and experience will enable us to offer you a highly personalised service. Martin & Co Derby is a family property management business, understanding fully the need to provide a robust and personal service in order to maximise your property investment on your behalf. Martin & Co Derby combines the best of both worlds – independently owned and managed, but benefiting from the Martin & Co (UK) Ltd brand’s national marketing strength, plus specialist ‘know how’ and expertise. This combination enables us to let faster, reaching a broader rental audience, and in many cases, achieve better rental yields in Derby than our competitors. Fully trained professional staff: Our staff are trained extensively to follow letting industry best practice and are accountable for the service delivered both to landlords and tenants. Why is choosing an ARLA agency so important? Every year, unlicensed agents causeDerby landlords and tenant’s unnecessary stress and hassle – and sometimes loss of money – by giving incorrect or misleading advice or offering poor standards of customer service. You can be sure that the highest standards are upheld by our members. It is a mandatory requirement that all our members belong to an independent redress scheme, the Property Ombudsman Service. You are better protected and will get higher standards from ARLA members. Call or visit Martin & Co Derby for further information.